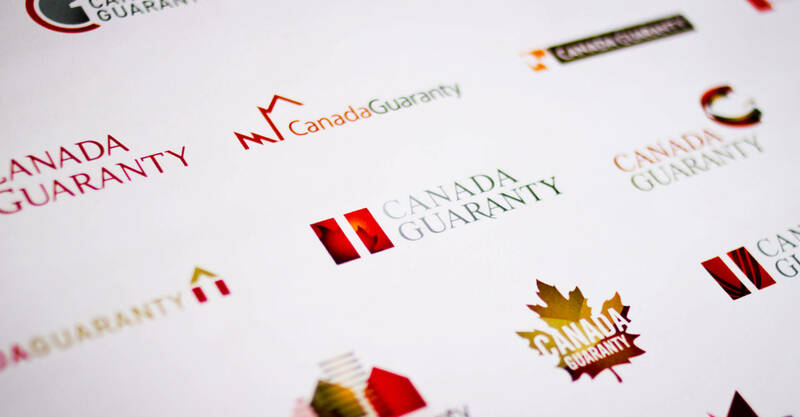 Canada Guaranty is a Canadian-owned private mortgage insurance company. 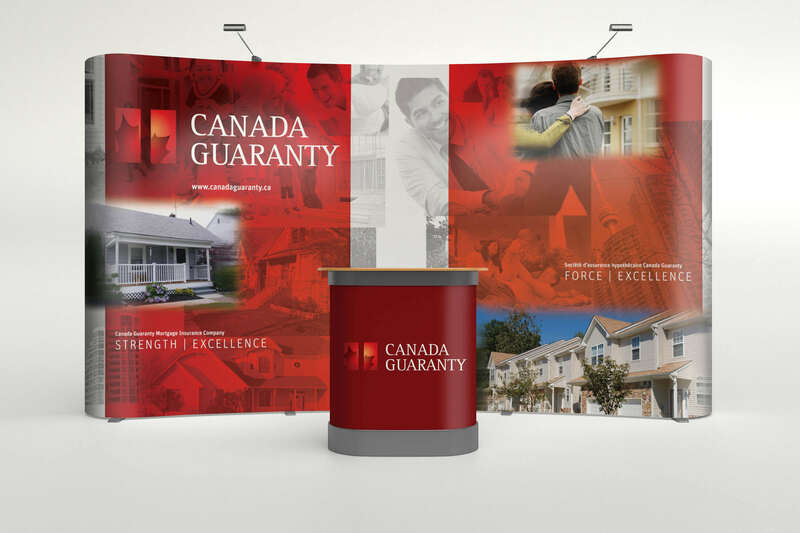 It was formed by a private investor group comprised of the Ontario Teachers’ Pension Plan and National Mortgage Guaranty Holdings Inc., who had acquired AIG United Guaranty Mortgage Insurance Company Canada. Their business model is designed to target lenders and brokers, offering them competitive insurance products with a commitment to superior customer service. 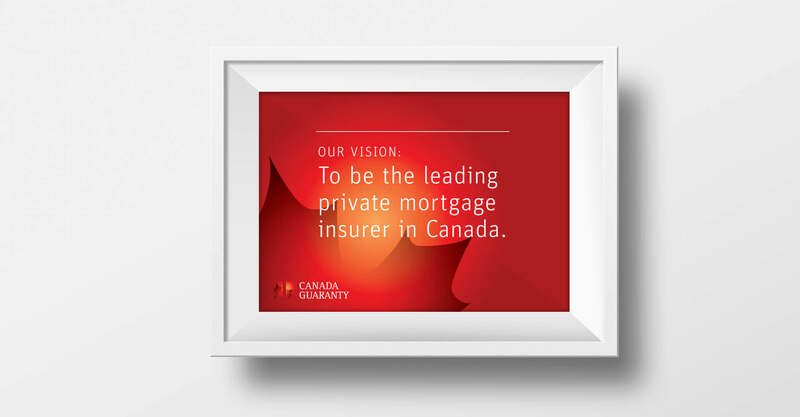 Canada Guaranty engaged us in January 2010, with the vision to be the leading private mortgage insurer. 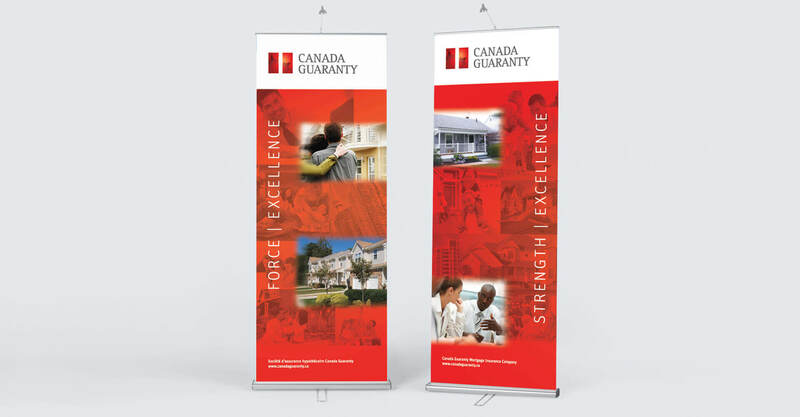 They were looking for an identity that reflected the company’s pillars of financial strength and service excellence. 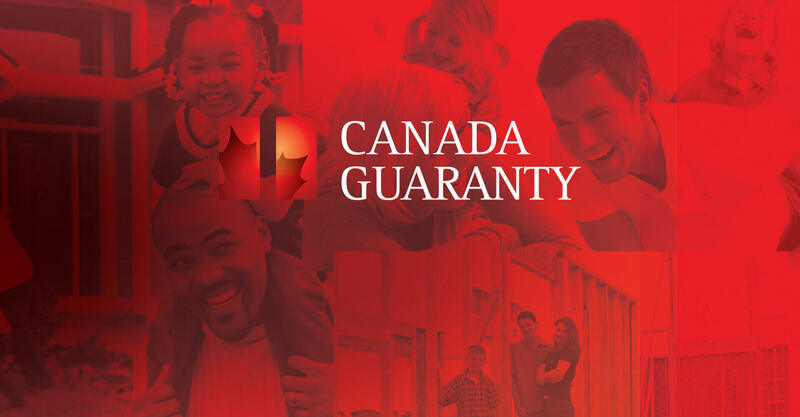 To distance themselves from the unstable U.S. mortgage industry, the mandate also included conveying that the ownership of Canada Guaranty is 100% Canadian. 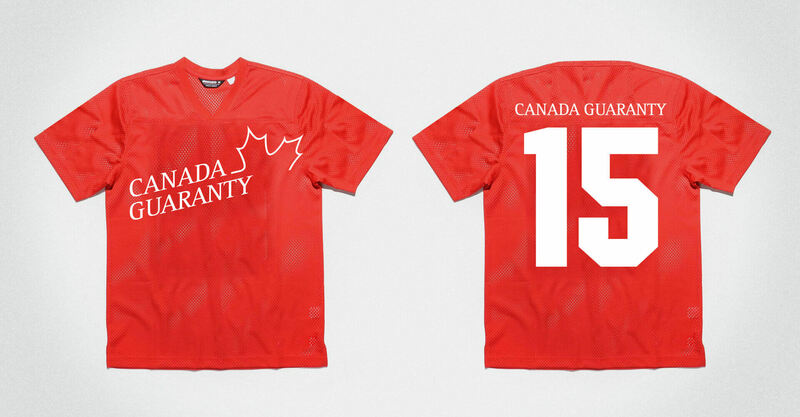 The final logo features an expression of the Canadian flag with a subtle maple leaf spanning two vertical red columns. These columns are a representation of the two founding pillars and the glow within gives the identity a warmth and approachability. The upper case serif font brings a sense of stability to the logo, a quality that is so important for success in this industry. Full marks to the Jump team as they delivered throughout the process and kept their word on deliverables and budget. They were a great team to work with throughout the process. Brian Bell, VP of Marketing at Canada Guaranty. 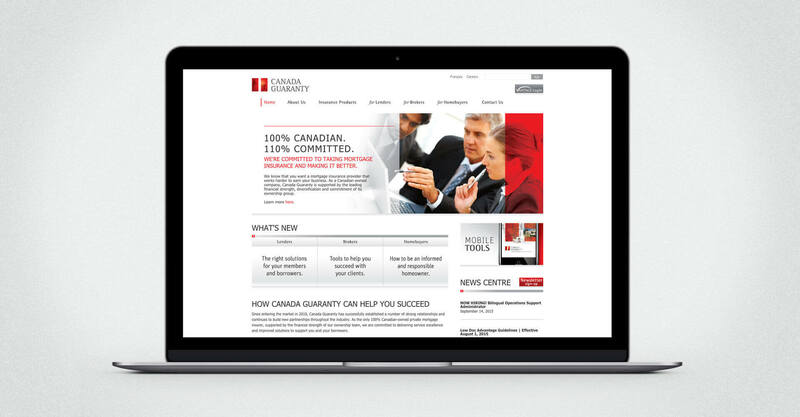 After establishing a new moniker for Canada Guaranty, we extended the brand identity through the development of a clean and professional website in preparation for the public announcement of the company on April 16th. The site features a wealth of information broken into channels for lenders, brokers, and home buyers. A key objective in the design process was solving the problem of decentralized online information by establishing a database to hold insurance products and rates in real time. This included an app used for mortgage brokers to look at all the latest news, products, calculators, and contacts on their mobile device. 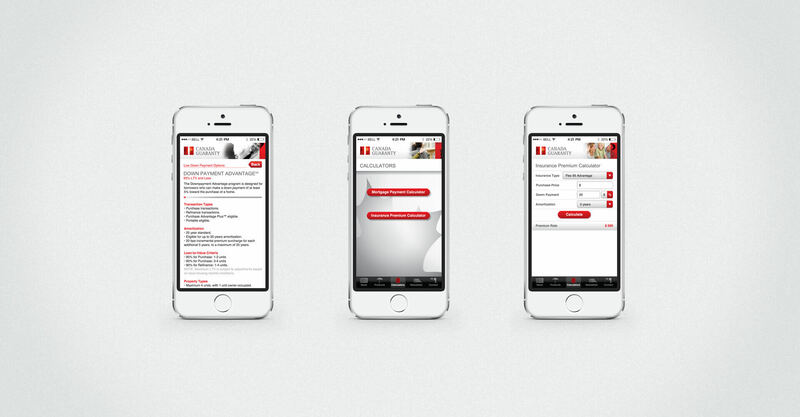 A dynamic PDF writer was further incorporated to allow brokers the ability to print tear sheet information directly from the website. 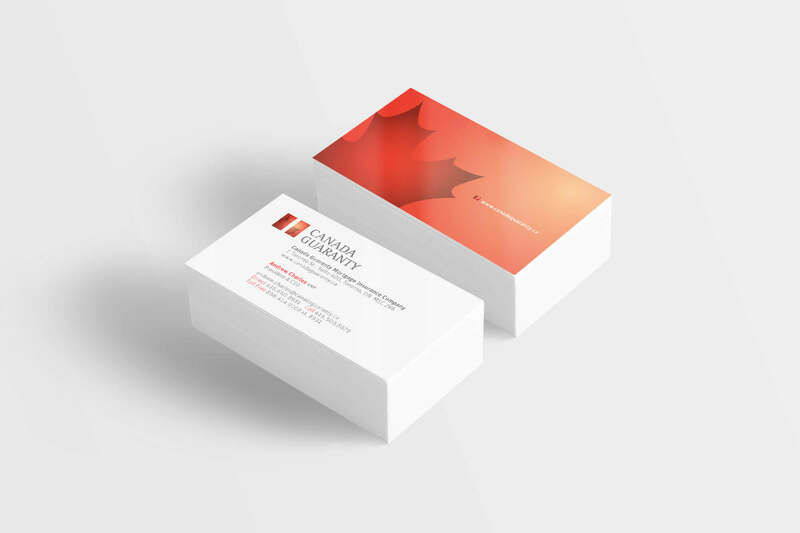 We also developed the corporate stationery, marketing material, digital templates, news templates as well as the signage for the office reception area during the three month branding project.